Most teenagers can expect to see their best friend a couple days of the week, but for a small number of people, they live with them. In general, the life of twins is not that different from the life of anyone else. “It’s just like having another sibling, but they’re the same age as you,” said Kate Summers, Community High School sophomore and twin. “It’s like having your best friend wherever you go,” adds junior and twin Sophia Kunselman. 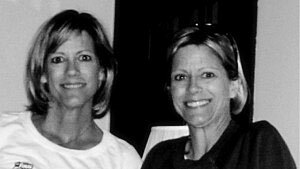 The Kunselman twins think there might be something to the myth that twins share a special “telepathic” connection. “Sometimes it actually happens … like I came from my mom’s house and Sabrina came from our dad’s house, and we showed up wearing almost the exact same outfit . . . we didn’t coordinate it; we had no idea,” said Sophia. Stapleton said as you grow older people don’t notice your similarities as much. But even though their appearances differ more now, she says that some things are becoming more similar. “The thing that kind of freaks me out is not so much our looks, but our gestures; not so much the way we look but the way we stand or are,” she reflected. For the Kunselmans, unwarranted assumptions are not the most common points of conversation right now. Now the prominent topic is college. “We haven’t really thought about that. I mean we are independent people … we do have so many of the same interests that we may end up applying to a lot of the same schools,” said Sabrina. “It’s almost like throwing yourself in a situation where the one constant thing in your life isn’t there anymore,” added Sophia. Stapleton said it was important for her and her sister not to attend the same college. “We [had always run] in the same crowd,” she said. 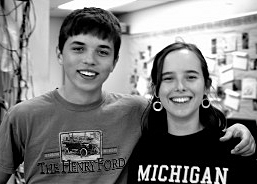 “We had the same friends in high school, so we really needed to separate; I especially wanted that.” Ironically, they ended up going to the same university for graduate school and even majored in the same subject. Stapleton also faced issues with the social aspect that being a twin had on her life. “Kids would come over and I never knew if they came to see me or her or to get two for the price of one,” she said. 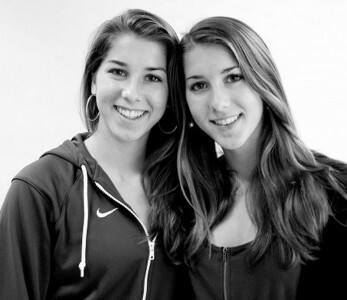 Summers recognizes that, even though her twin is a boy, they still are compared a lot of the time. Summers, Stapleton, and both Kunselmans all agree that they like being twins. “I would say that in the different phases of my life it’s meant different things. But I had a best friend with me throughout,” concluded Stapleton.